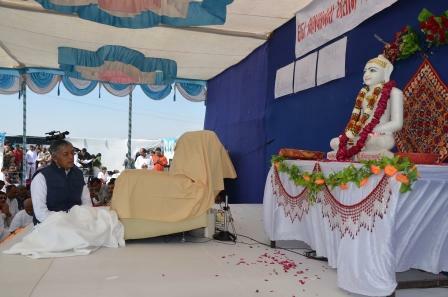 It was Param Pujya Dadashri's bhavna to establish a unique Trimandir (Non-sectarian Temple), where the essence of all major religions are placed on a single platform. 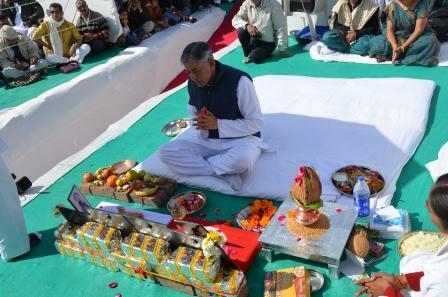 On 9th February the Khat Muhurtfor Morbi (Gujarat, India) Trimandir was done by Pujya Deepakbhai with the subtle presence of Param Pujya Dadashri, Pujya Niruma and Dev-Devis. Thousands of mahatmas had also come for the ceremony. Let all of us pray that the work of this Trimandir may get over smoothly and as soon as possible.